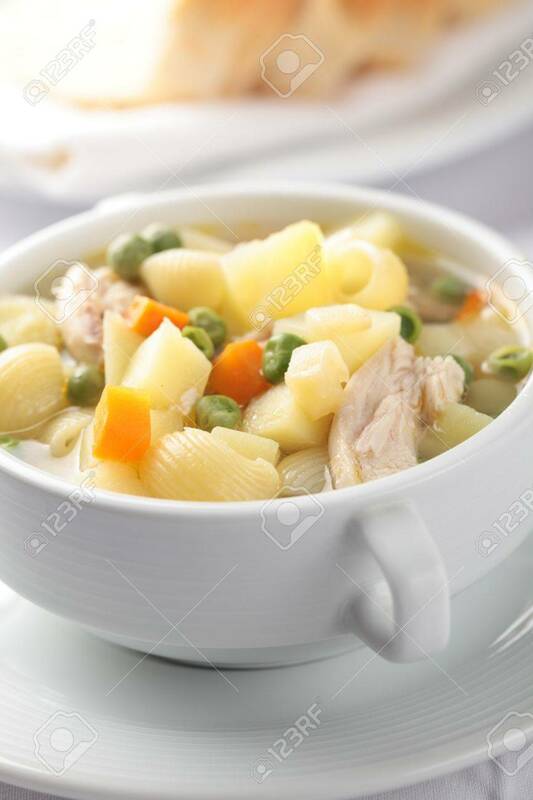 Chicken Noodle Soup In A White Bowl Closeup. Shallow DOF Stock Photo, Picture And Royalty Free Image. Image 11771363.